September's SUPA DIGI KIT FREEBIE. She also has a little "Guessing Game" before the product will be released. A soft mini kit in pinks and blues, with gorgeous embroidered flowers, delicate lace, torn cardboard tags, ribbons and bows. your harvest with my new Harvest Paperpack. or trips to the farm with my Harvest Paperpack. I had to show this one off, Jen has done a fantastic job with Kim Smith's kit Split Personality - Good Girl. This layout is so soft and the double photo frame is a nice finishing touch. Isn't that just the nicest, kindest award you could receive, I am really stoked that Cen wanted to give it to me. 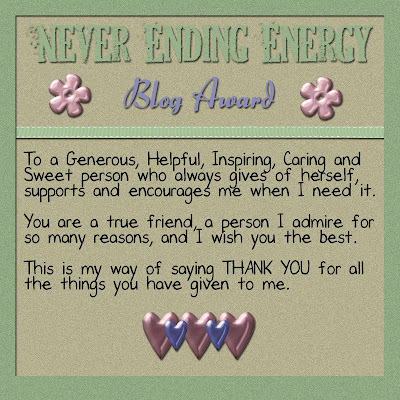 Thank you Sweets, I really appreciate your kind words and thought behind this award. Kimmy - this is one lady that just gives and gives and gives. Kim has done so much for me and SDK over the years I really don't know where to begin thanking her. You really deserve this Hon. Janeal - I take my hat off to you, I still don't know how you manage to fit everything into a day but you do. You have always been so friendly, so kind and so giving come rain or sunshine. It has been my pleasure to have known you all this time. KayKay - another wonderful lady that is always there when you need a helping hand and so giving of her talent. Thank you. 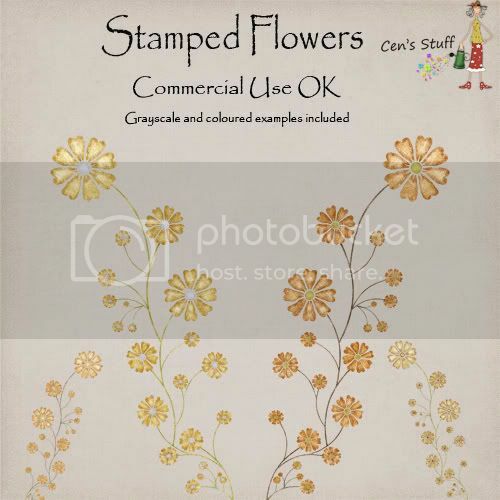 Cen's stamping mad at the moment and so decided on a stamped CU OK goody for you today.It's stamped flowers, the download includes the coloured flowers plus 2 grayscale files, light and dark. All the files are png format. You can find them here:http://censloft.blogspot.com/2008/09/i-stamping-mad.html Have fun and a great weekend!! ....yes I did say FREE - it's easy and fun! All you have to do is find 15 to 20 or more layouts in our Gallery with a GROUP HAPPY theme. They can be a group shots or family scrap book pages, with happy photos :) of course. Then leave some love as comments for the layout's artist. Post links to where you've commented in this thread September Gallery Hunt by midnight September 30th and you'll receive Lorie's kit as a posting bonus after the challenge ends. Enjoy scrapping and spread some love! Click on over to Pixelfairy's Blog to grab this delightful addon! 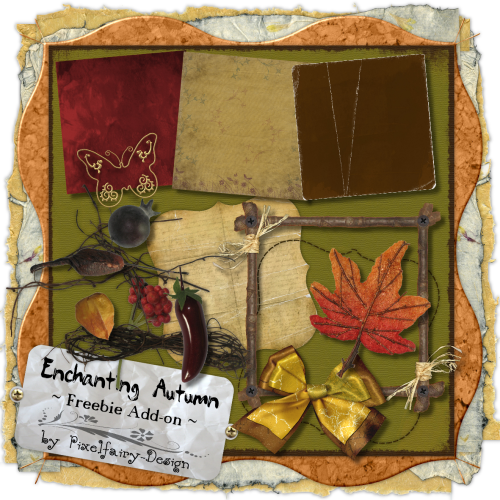 Join in Pixelfairy's Blog challenge and you could win the complete 'Enchanted Autumn' kit.....WOWZERS! 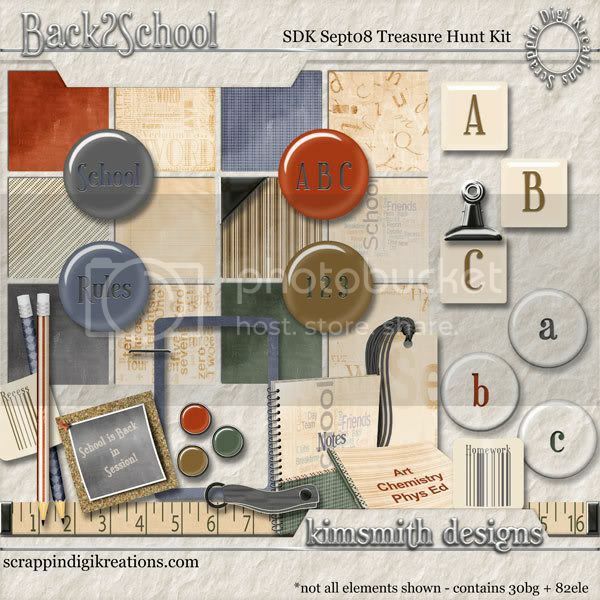 Come join Kimmy for this month's Treasure Hunt, you can collect this wonderful kit for free by following her very easy clues. This is a fun and colorful kit for kids, with a playful outdoor theme. & felt elements to embelish your scrapbook pages. what makes you happy and why.